International Conference on Computer Vision (ICCV), Santiago, Chile, Dec. 2015. ACM Transaction on Graphics(TOG) and Proc. of SIGGRAPH Asia 2015.
International Conference on Unmanned Aircraft Systems, Denver, USA, Jun. 2015. Boxin Shi, Kenji Inose, Yasuyuki Matsushita, Ping Tan, Sai-Kit Yeung, Katsushi Ikeuchi. International Conference on 3D Vision (3DV), 2014. TrackCam: 3D-aware Tracking Shots from Consumer Video. Shuaicheng Liu, Jue Wang, Sunghyun Cho, Ping Tan. ACM Transaction on Graphics(TOG) and Proc. of SIGGRAPH Asia 2014. Yinting Wang, Dacheng Tao, Xiang Li, Mingli Song, Jiajun Bu, Ping Tan. Yinda Zhang, Shuran Song, Ping Tan, Jianxiong Xiao. Kun Li, Rui Huang, Swee King Phang, Shupeng Lai, Fei Wang, Ping Tan, Ben M. Chen, Tong Heng Lee. Shuaicheng Liu, Lu Yuan, Ping Tan, Jian Sun. Rakesh Shiradkar, Li Shen, George Landon, Sim Heng Ong, Ping Tan. Nianjuan Jiang, Zhaopeng Cui, Ping Tan. IEEE International Conference on Computer Vision (ICCV), Sydney, Australia, Dec. 2013. 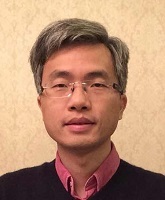 Honghui Zhang, Jingdong Wang, Ping Tan, Jinglu Wang, Long Quan. Boxin Shi, Ping Tan, Yasuyuki Matsushita, Katsushi Ikeuchi. Bin Zhou, Xiaowu Chen, Qiang Fu, Kan Guo, Ping Tan. ACM Transaction on Graphics(TOG) and Proc. of SIGGRAPH 2013. Yinda Zhang, Jianxiong Xiao, James Hays, Ping Tan. Zhenglong Zhou, Zhe Wu, Ping Tan. Xiaowu Chen, Dongqing Zou, Steven ZhiYing Zhou, Qinping Zhao, Ping Tan. Zhenglong Zhou, Bo Shu, Shaojie Zhuo, Xiaoming Deng, Ping Tan, Stephen Lin. SIGGRAPH Asia 2012 Technique Briefs. Xiaowu Chen, Dongqing Zou, Qinping Zhao, Ping Tan. ACM Transaction on Graphics(TOG) and Proc. of SIGGRAPH Asia 2012. Yinting Wang, Jiajun Bu, Na Li, Mingli Song, Ping Tan. European Conference on Computer Vision (ECCV), Firenze, Italy, Oct. 2012. Nianjuan Jiang, Ping Tan, Loong-Fah Cheong. IEEE Conference on Computer Vision and Patten Recognition (CVPR), Providence, USA, Jun. 2012. Shuaicheng Liu, YintingWang, Lu Yuan, Jiajun Bu, Ping Tan, Jian Sun. Qi Zhao, Ping Tan, Qiang Dai, Li Shen, Enhua Wu, Stephen Lin. ACM Transaction on Graphics(TOG) and Proc. of SIGGRAPH Asia 2011.
International Conference on Computer Vision (ICCV) Barcelona, Spain, Nov. 2011. IEEE Transaction on Pattern Analysis and Machine Intelligence (TPAMI), Vol 33, No. 8, pp. 1603-1618, Aug. 2011. European Conference on Computer Vision (ECCV), Crete, Greece, Sep. 2010. IEEE Conference on Computer Vision and Patten Recognition (CVPR), , California, USA, Jun. 2010. ACM Transaction on Graphics(TOG) and Proc. of SIGGRAPH Asia 2009. IEEE International Conference on Computer Vision(ICCV), Kyoto, Japan, Sep. 2009. IEEE Conference on Computer Vision and Patten Recognition (CVPR), (oral presentation), Florida, US, Jun. 2009. IEEE Conference on Computer Vision and Patten Recognition (CVPR), Florida, US, Jun. 2009. ACM Transaction on Graphics(TOG) and Proc. of SIGGRAPH Asia 2008, vol 27. IEEE Transaction on Pattern Analysis and Machine Intelligence (TPAMI), Vol 30, Issue 8, pp. 1460-1471, Aug. 2008. IEEE Transaction on Visualization and Computer Graphics (TVCG), Vol 14, Issue 2, pp. 412-425, March - April 2008. IEEE Conference on Computer Vision and Patten Recognition (CVPR), Alaska, US, Jun. 2008. ACM Transaction on Graphics(TOG) and Proc. of SIGGRAPH 2007, Vol 26, Issue 3. IEEE International Conference on Computer Vision (ICCV),, Rio de Janeiro, Brazil, Oct. 2007. IEEE Conference on Computer Vision and Patten Recognition (CVPR), , Minnesota, US, Jun. 2007. ACM Transaction on Graphics(TOG) and Proc. of SIGGRAPH 2006, Vol 25, Issue 3, pp. 599 - 604. IEEE Conference on Computer Vision and Pattern Recognition (CVPR), New York, US, Jun. 2006. European Conference on Computer Vision(ECCV), , Graz, Austria, May 2006. Eurogrpahics Symposium on Rendering(EGSR) Konstanz, Germany, Jul. 2005. IEEE International Conference on Computer Vision(ICCV) Nice, France, Oct. 2003.